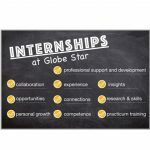 Mentoring a spirit of gentleness is the motto of Globe Star. Quality of life outcomes are rooted in this relationship-building practice that cultivates companionship and a sense of community with others. Globe Star providers of direct services apply the mentoring basics of a Gentle Teaching framework to their practice. 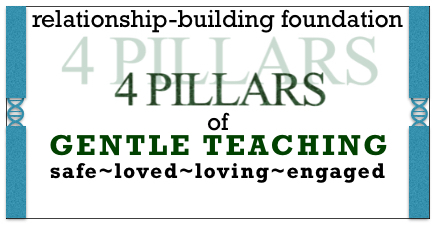 Together, with the person who is receiving services, a foundation for interactions is established by incorporating the four pillars or life lessons of Gentle Teaching: safe, loved, loving, and engaged. 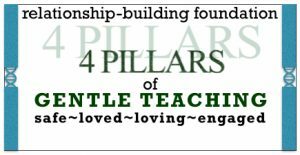 These four pillars are the guideposts for interactions with one another. Working with the four life lessons produces a relationship-building dynamic for cultivating value, meaning, and new moral memory for developing one’s narrative script that is in accord with their quality of life. With our tools (hands, eyes, words, presence), direct service providers incorporate both verbal and non-verbal dialogue for interacting and engaging the relationship-building and mentoring processes. Building a relationship for mentoring a culture of gentleness works through the exploring and restructuring of social-emotional patterns. These are assimilated tendencies that have been woven as one’s foundational fabric for clothing the self in all its varied aspects. Before true learning and authentic growing can occur, a person’s sense of self, the very foundation of how one conceives and perceives themselves to be, must feel safe and loved! 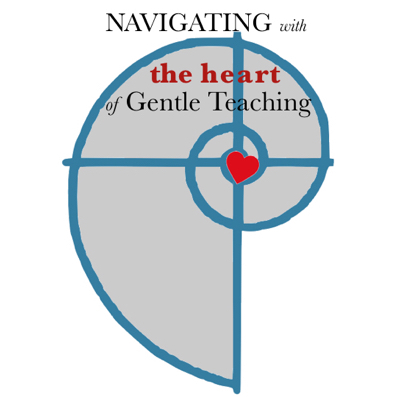 This is the heart of Gentle Teaching. It is learning about companionship through relationship-building that models and mirrors this foundational, unified (interconnected) structure from which interdependency emerges. Social-emotional awareness and growth is rooted in social interconnectivity— the weaving of social fabric, within ourselves, in our lives, and in our communities. With self-awareness, one becomes receptive to other-awareness and developing a sense of community. With the expansion of one’s self-concept, new possibilities for creating value and meaning can unfold through processes that mentor a spirit of gentleness. Mentoring a spirit of gentleness works with present conditions for cultivating a safe and loved environment, where social-emotional connections can be made for discovering one’s path towards self-realization. Presence is one of our tools for Gentle Teaching, and a state of mindfulness that develops with an integrated practice of mentoring a spirit of gentleness. A Gentle Teaching framework guides a parent or professional in supporting and mentoring others in growing and becoming aware of these connections. Would you like to know more about ‘mentoring a spirit of gentleness’ and the quality of life services and programs offered by Globe Star? We have locations serving communities throughout Indiana. CONTACT US TODAY for a free consultation!